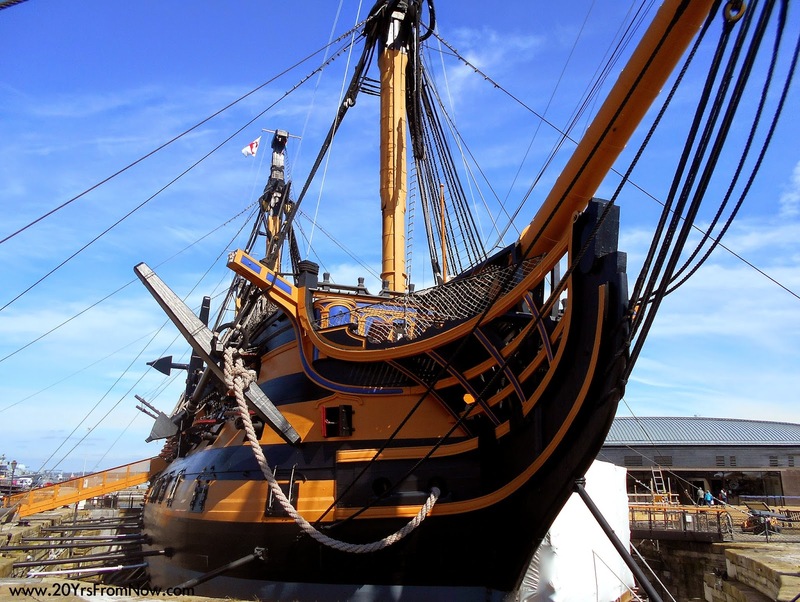 Portsmouth Historic Dockyard is a large waterside complex designed to showcase 800 years of British naval history. Tickets are valid for one year from the date of purchase and that's important because there is so much to see and do it's impossible to do it justice in a single visit. We devoted three full days to the dockyard and were still only able to tour the Mary Rose Museum, Submarine Museum, HMS Victory, Explosion Museum, and take in a Harbour Tour. 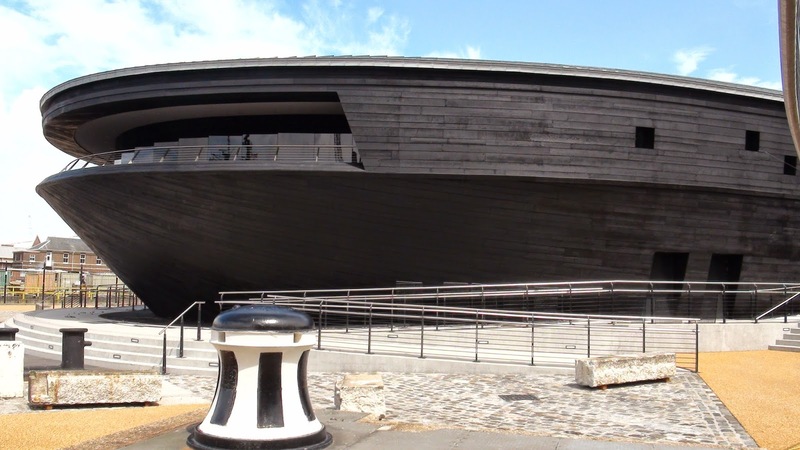 The Mary Rose Museum is ship shape in every aspect. Not only is it a glimpse into the splendour and might of King Henry VIIIs naval strength, it showcases modern scientific methods of conservation, preservation, deduction and a recreation of the past via DNA. Henry VIII witnessed the sinking of his flagship off Portsmouth in 1545. Of the 500+ crew only 35 survived. 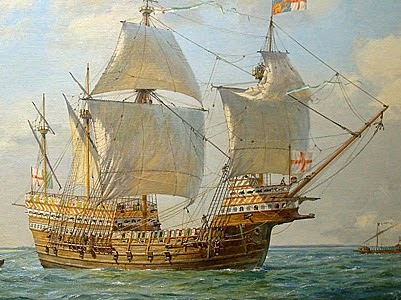 In 1982 the Mary Rose was raised from the sea. Since then it has been treated (and continues to be treated) to preserve it for future generations. It is enclosed in a sealed chamber that is kept at a constant temperature. Visitors are able to look at it through a series of windows that show its full length. In a few years the black tubes will be removed once the drying process is complete. We really enjoyed touring the three levels of the museum that included artifacts of the crew's belongings. A number of the officers are known by name while DNA evidence of lost crew members has provided information about the lives, occupations and general health of these individuals. Based on skeletal remains facial reconstructions allow visitors to come face-to-face with some of the crew. Our next stop was the HMS Victory, Admiral Horatio Nelson's flagship and best known for her role in the Battle of Trafalgar. It is the oldest commissioned warship in the world and is still manned by Officers and Ratings of the Royal Navy. The Victory is the only surviving warship to have fought in the American Revolution, French Revolution, and Napoleonic Wars. HMS Victory has four masts, 104 guns and took six years to build at a final cost of £63,176 which in today's value would be around £50 million pounds. ...life on board for the others would have been cramped and crowded. Can you imagine cooking meals for 850 people in this kitchen? The preparation area is located in the white enclosure. Most homeowners have more counter space, yet still complain it's not enough! The massive black oven is right next door. We toured all levels of the ship, right down to the dark, dank bottom where the munitions were kept. Back up on deck this bell marked the hour and half-hour while at sea. Over 26 miles (42 km) of flax and hemp rope was required to rig the Victory and while the size of the hemp rope John's holding is impressive, the anchor rope is 19 inches in circumference. Not far from the helm is a plaque to mark the spot where Nelson was fatally wounded. One of the things I liked most about the Portsmouth Historic Dockyard is the proximity and use of the nearby water. Doesn't it make perfect sense for a naval museum to provide harbour tours? Another bonus while onboard were the views of Portsmouth. The Spinnaker Tower offers a view of Portsmouth like none other. Sadly, we didn't have time. To reach the Submarine Museum we took another boat for the 10-minute ride across the harbour. The museum focuses on all things submariner, but the highlight was a tour of the HMS Alliance. It is Britain's only remaining WWII submarine and is a memorial to the 5,300 men who lost their lives in service. Hats off to the men who served on submarines. They obviously don't suffer from claustrophobia. Being cook on the HMS Victory seems like a dream job compared to the tight space the HMS Alliance cook had to contend with. The galley is literally the size of a closet and if he happened to be taller than 5 feet he would spend most of his working life hunched over. 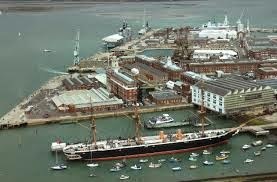 Our primary reason for visiting Portsmouth was the Portsmouth Historic Dockyard and we were not disappointed. We definitely have to make a return visit.